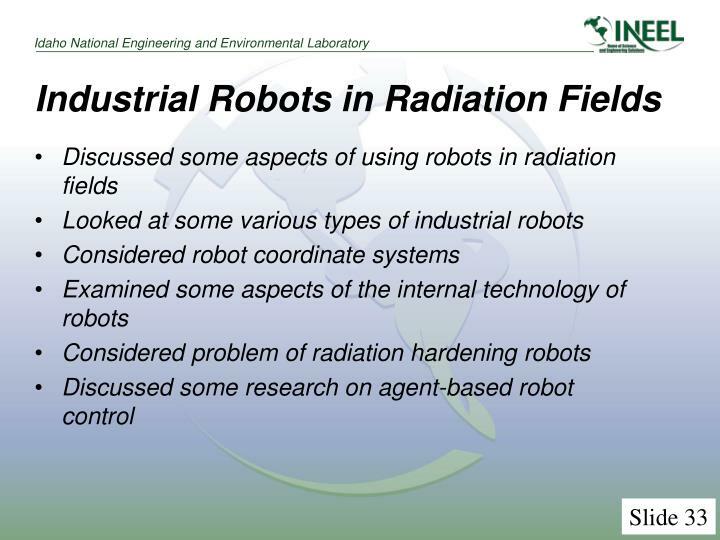 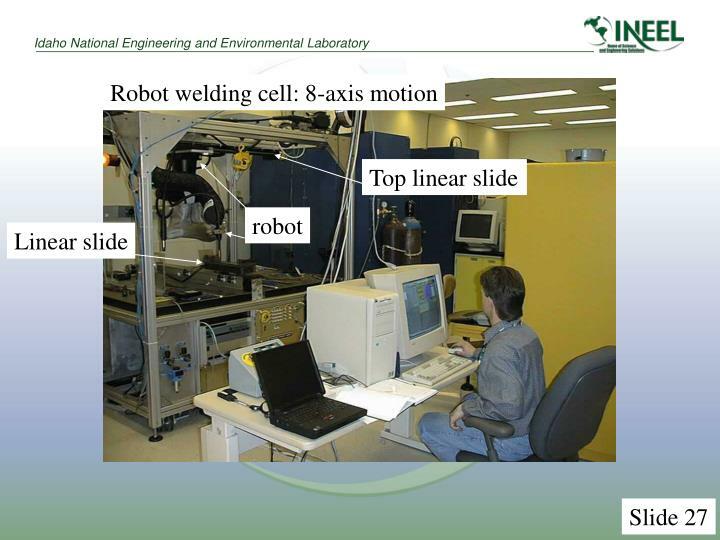 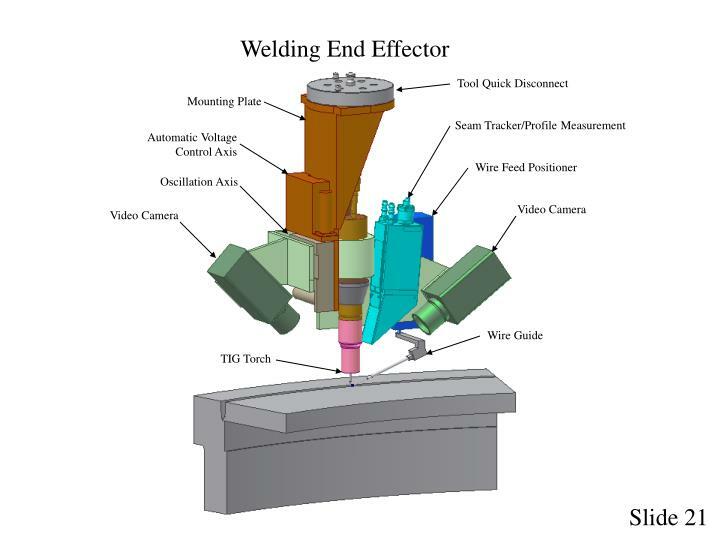 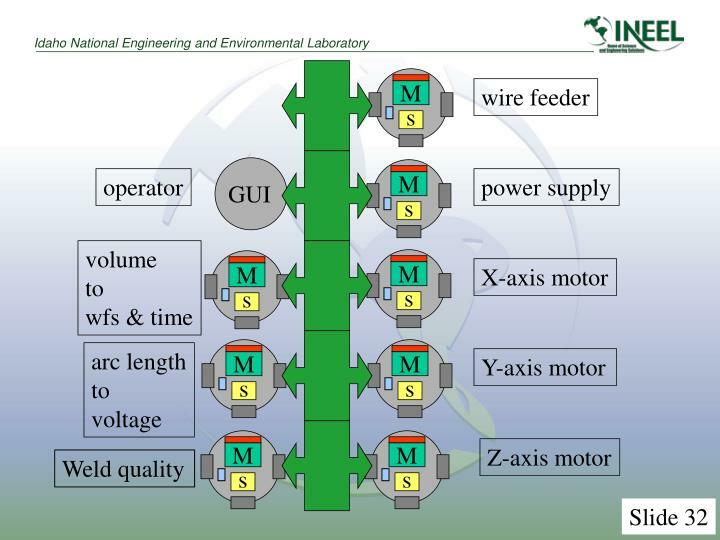 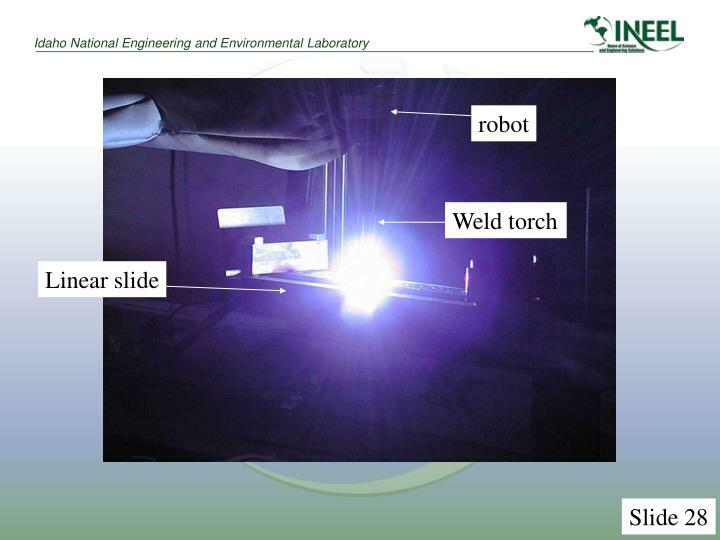 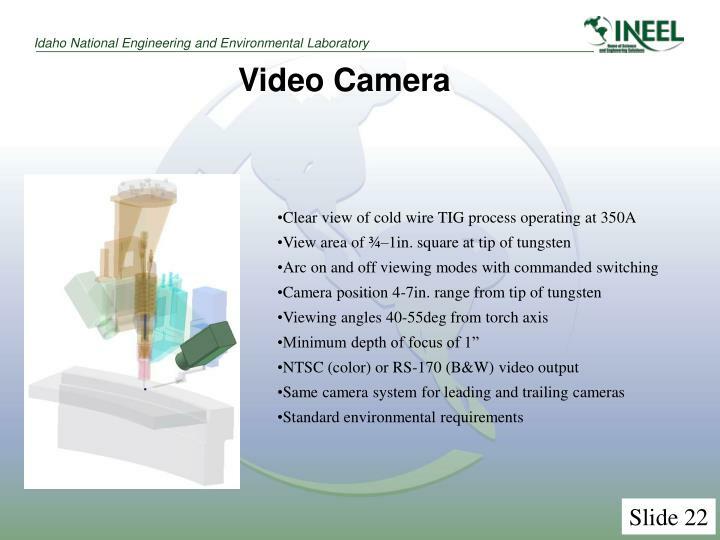 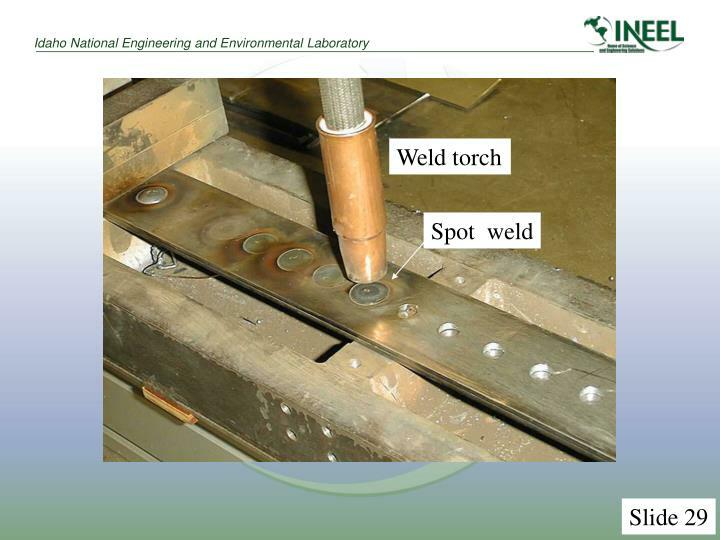 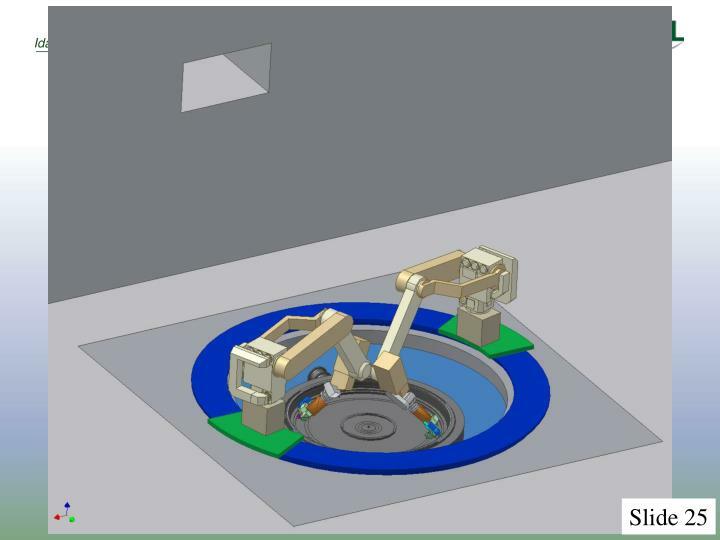 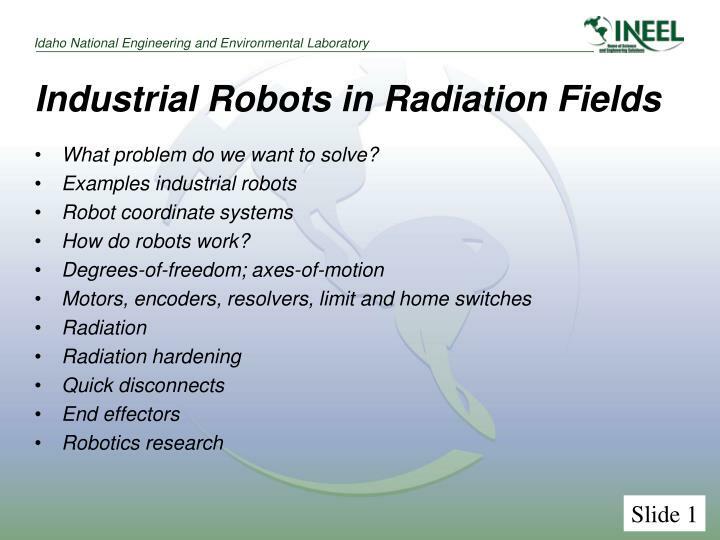 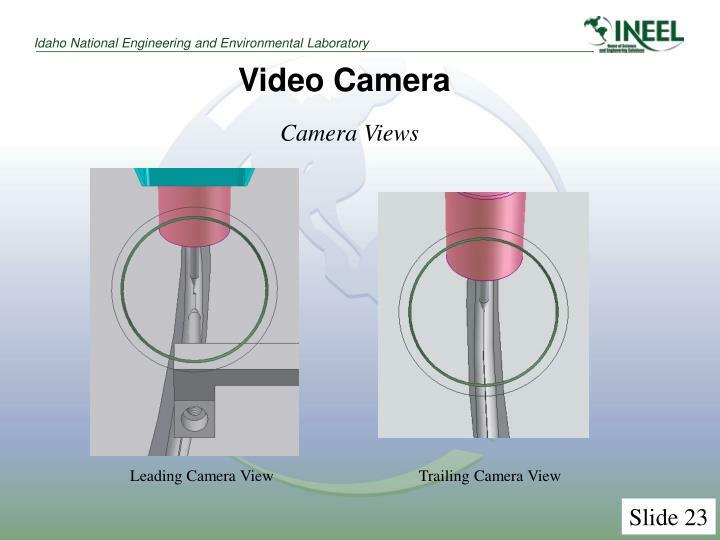 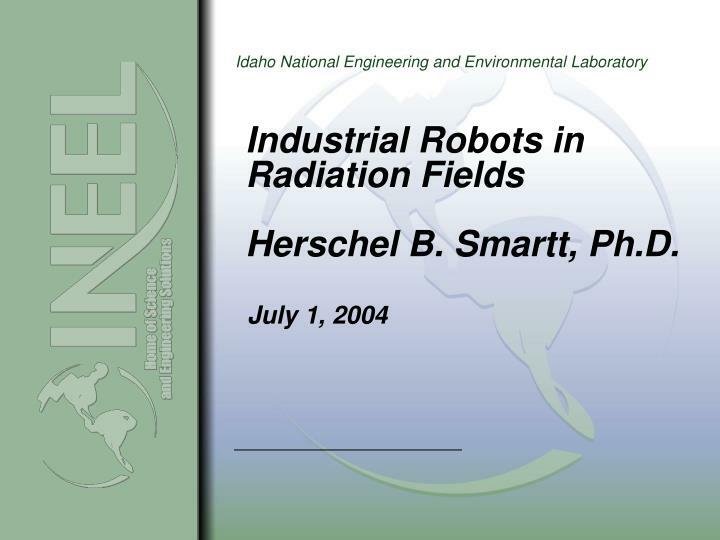 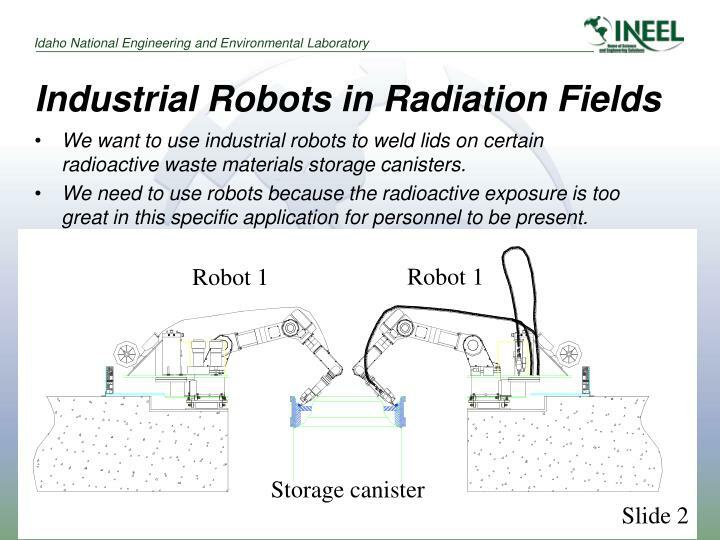 Industrial Robots in Radiation Fields Herschel B. Smartt, Ph.D.
Industrial Robots in Radiation FieldsHerschel B. Smartt, Ph.D.
We want to use industrial robots to weld lids on certain radioactive waste materials storage canisters. 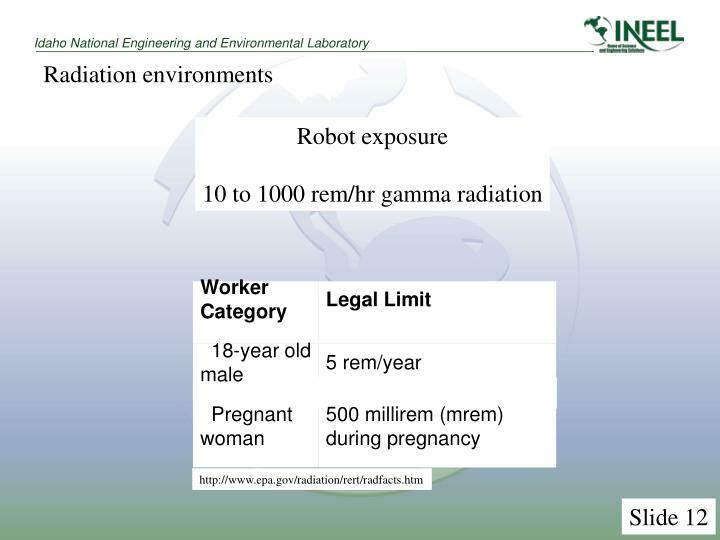 We need to use robots because the radioactive exposure is too great in this specific application for personnel to be present. 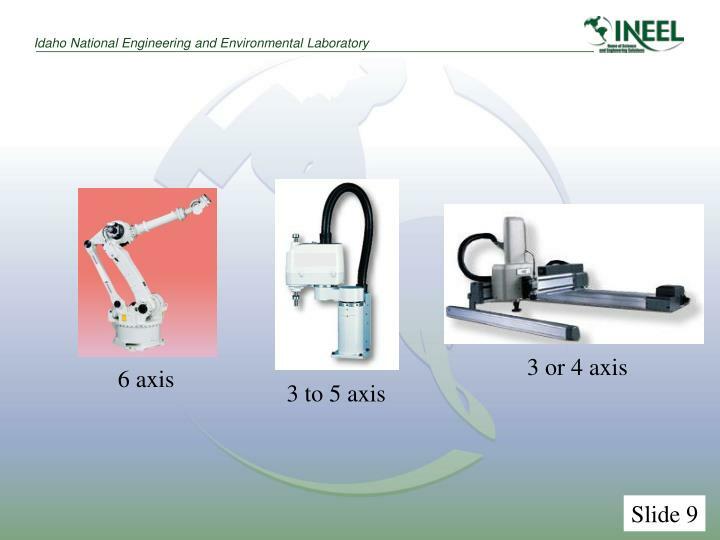 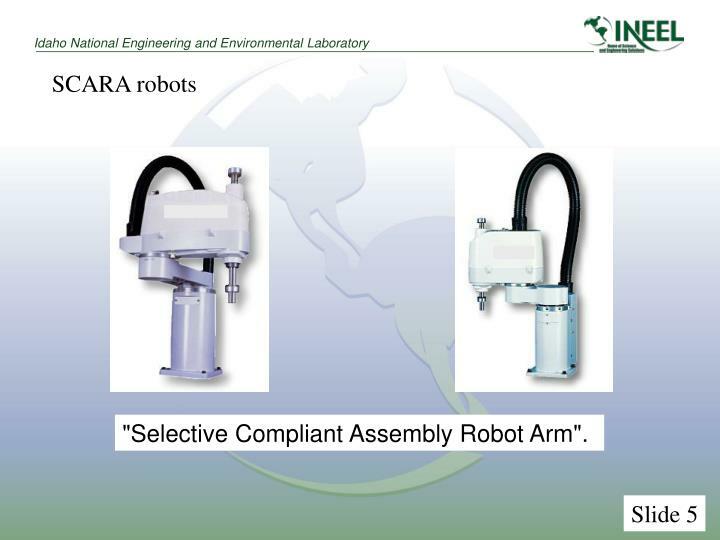 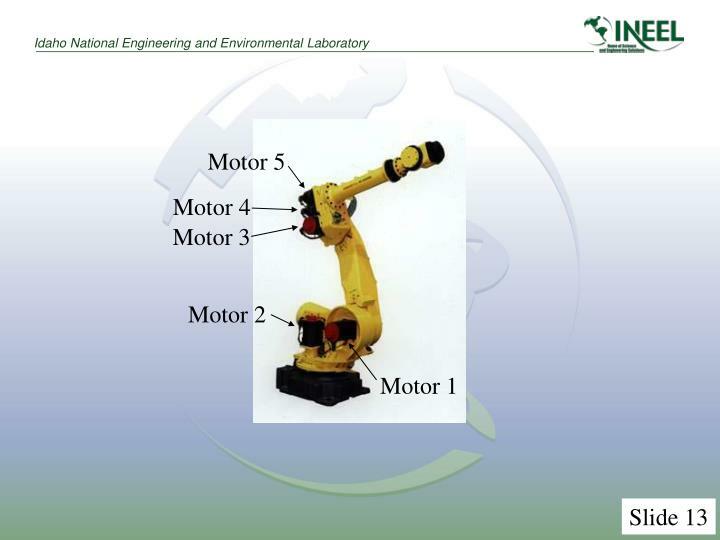 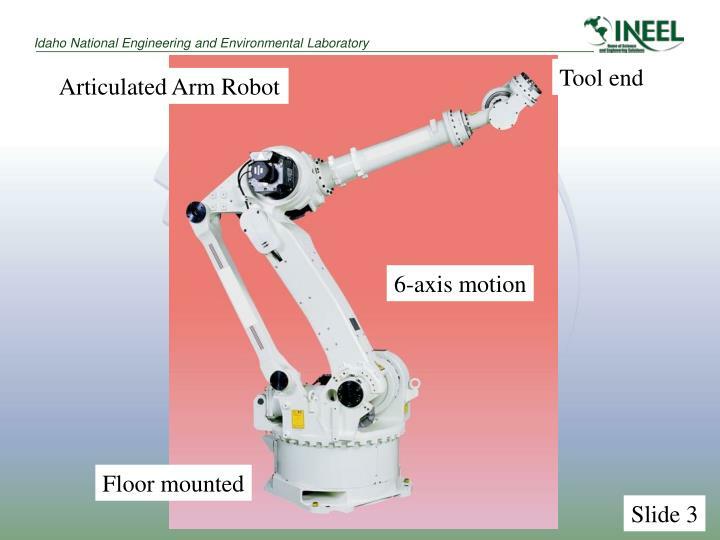 "Selective Compliant Assembly Robot Arm". 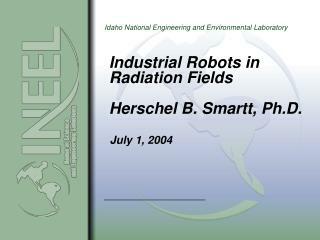 P. J. McKerrow, Introduction to Robotics, Addison-Wesley, ISBN 0-201-18240-8, 1991. 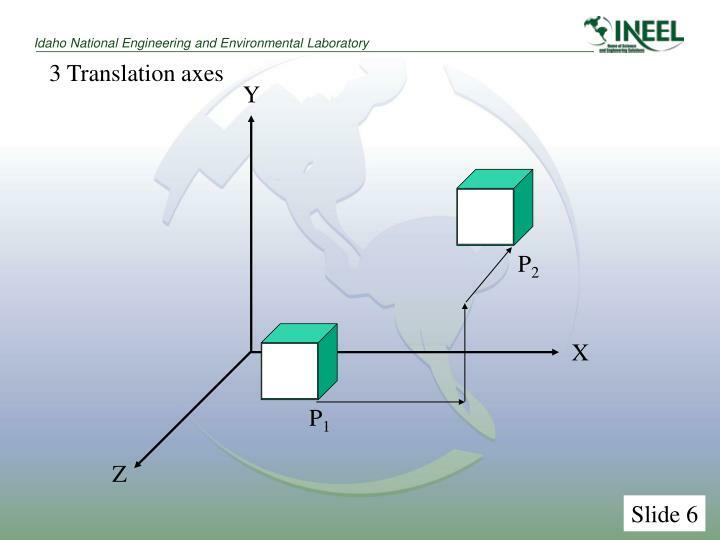 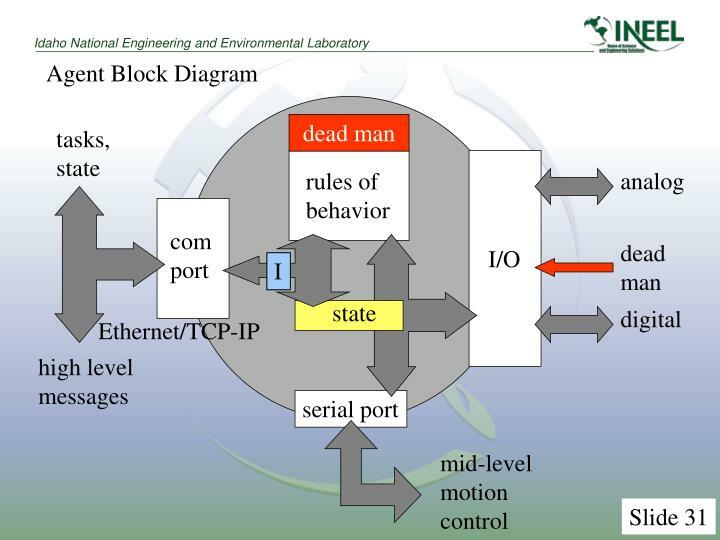 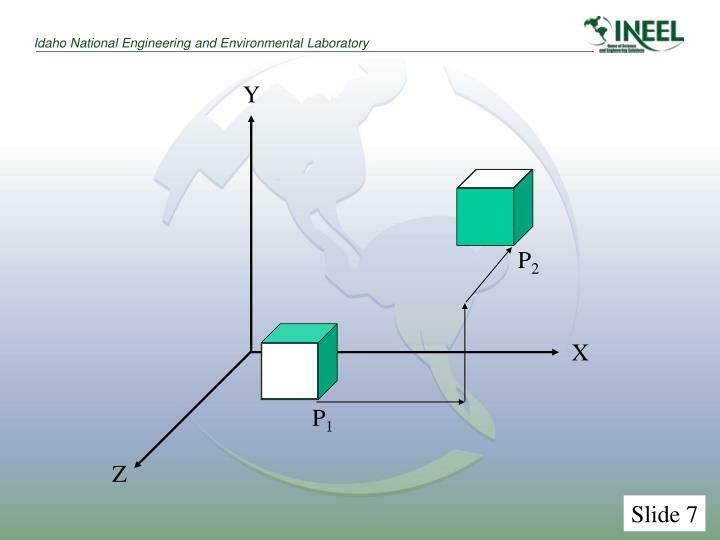 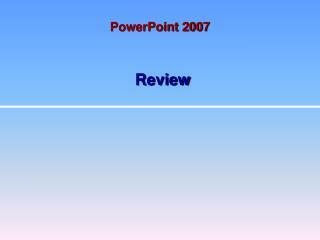 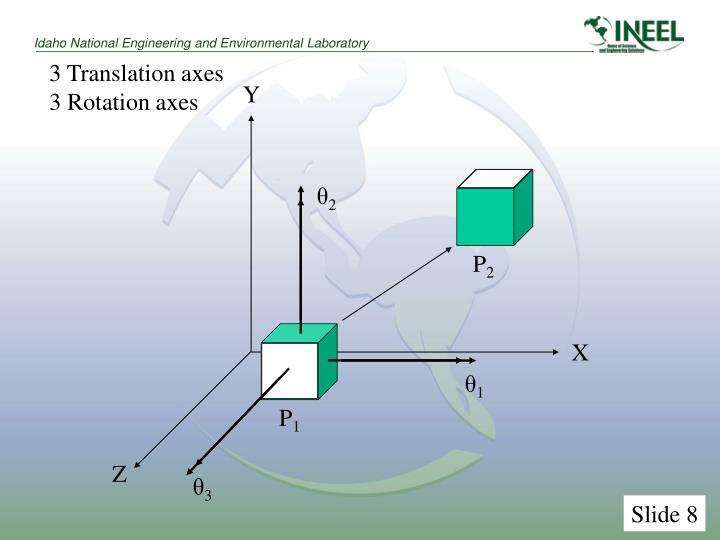 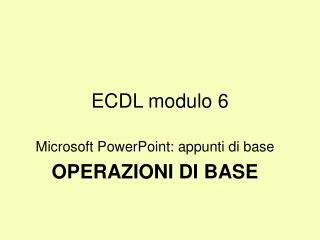 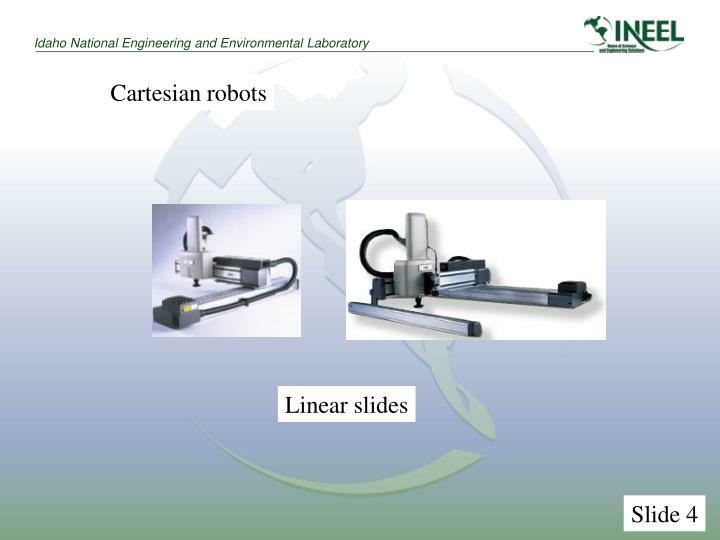 W. Khalil & E. Dombre, Modeling, Identification & Control of Robots, Taylor & Francis, ISBN 1-56032-983-1, 2002. 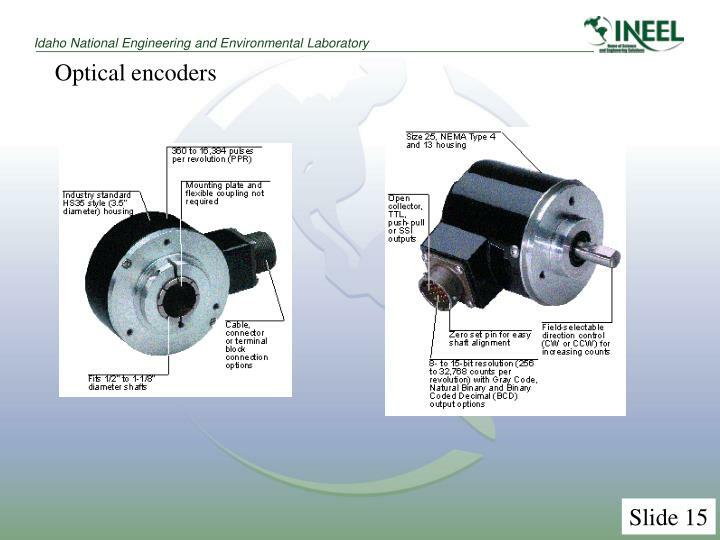 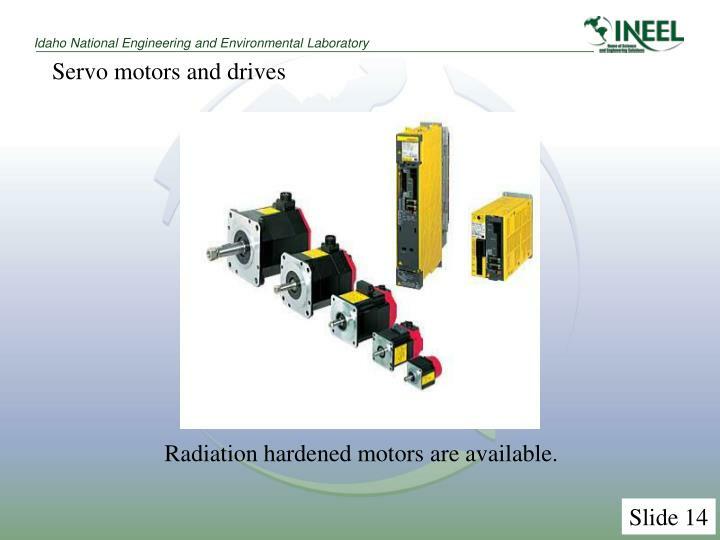 Radiation hardened motors are available. 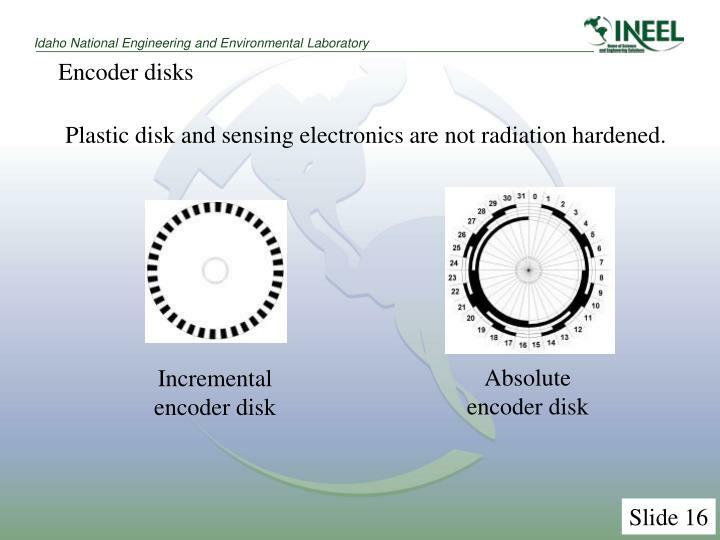 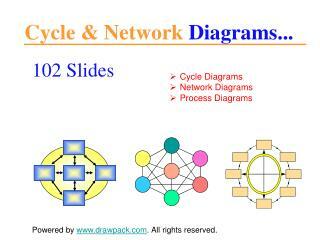 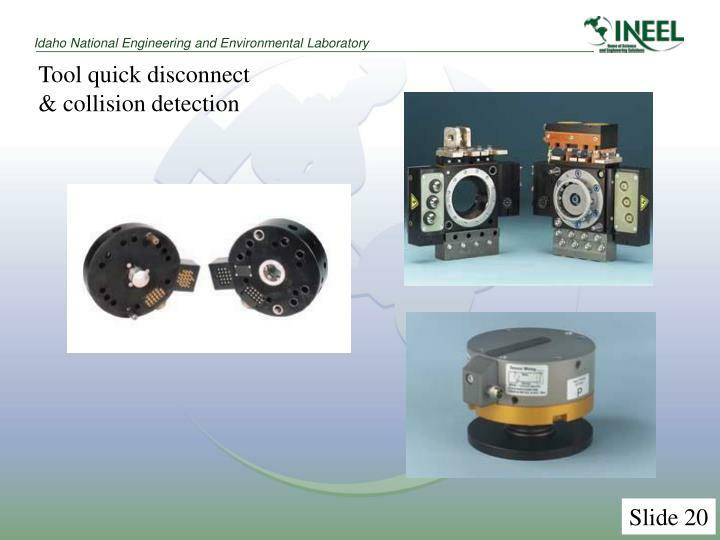 Plastic disk and sensing electronics are not radiation hardened. 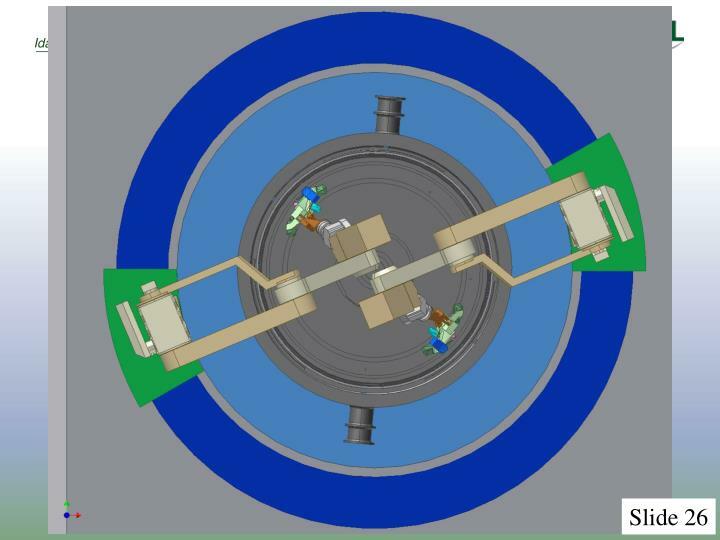 CPR (N): The number of Cycles Per Revolution.One Shaft Rotation: 360 mechanical degrees, N cycles.One Electrical Degree (°e): 1/360th of one cycle.One Cycle (C): 360 electrical degrees (°e). 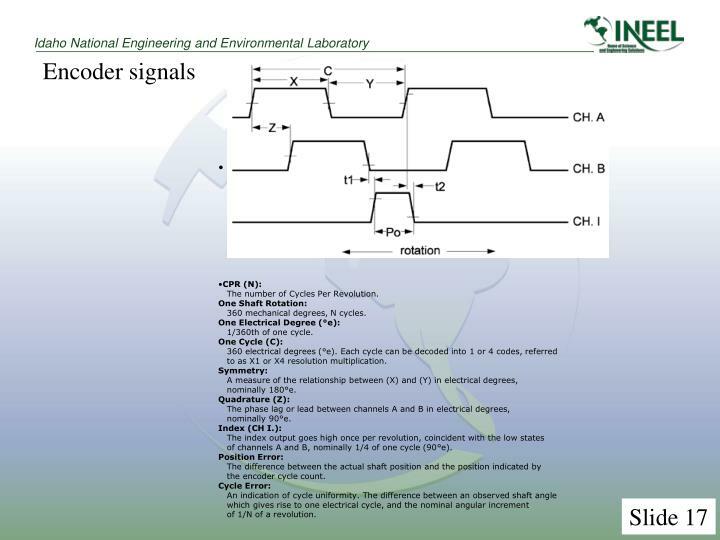 Each cycle can be decoded into 1 or 4 codes, referred to as X1 or X4 resolution multiplication.Symmetry: A measure of the relationship between (X) and (Y) in electrical degrees, nominally 180°e.Quadrature (Z): The phase lag or lead between channels A and B in electrical degrees, nominally 90°e.Index (CH I. 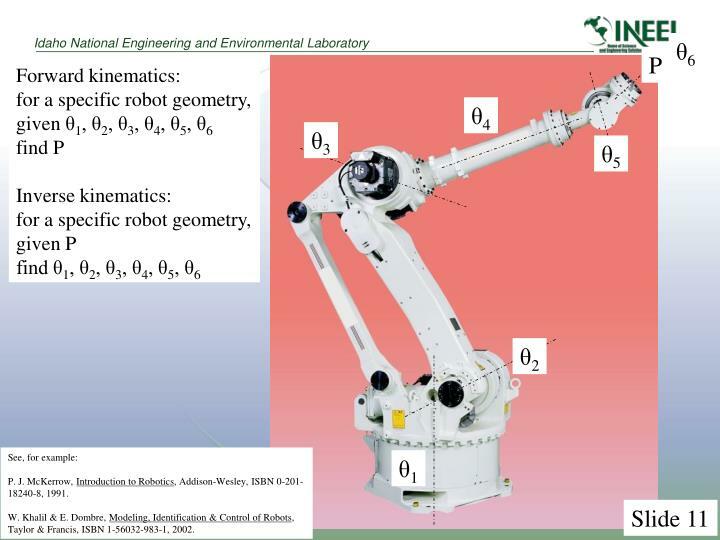 ): The index output goes high once per revolution, coincident with the low states of channels A and B, nominally 1/4 of one cycle (90°e).Position Error: The difference between the actual shaft position and the position indicated by the encoder cycle count.Cycle Error: An indication of cycle uniformity. 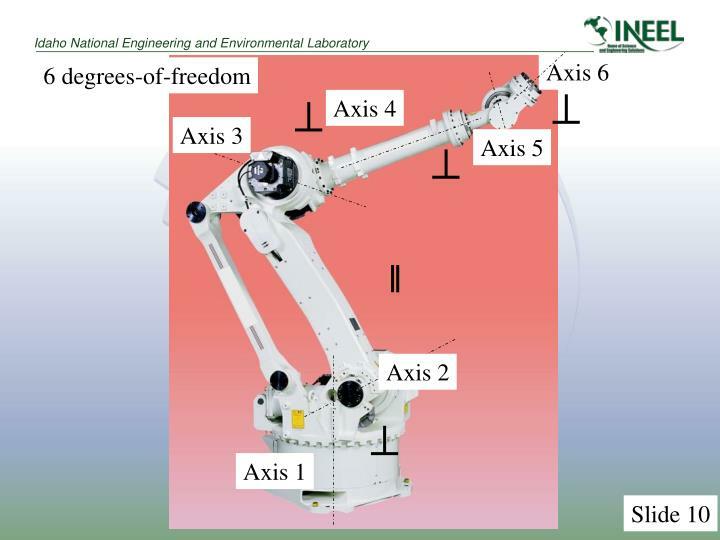 The difference between an observed shaft angle which gives rise to one electrical cycle, and the nominal angular increment of 1/N of a revolution. 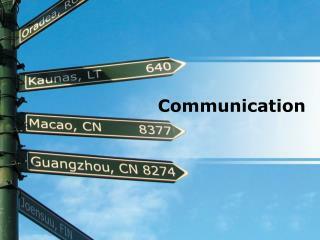 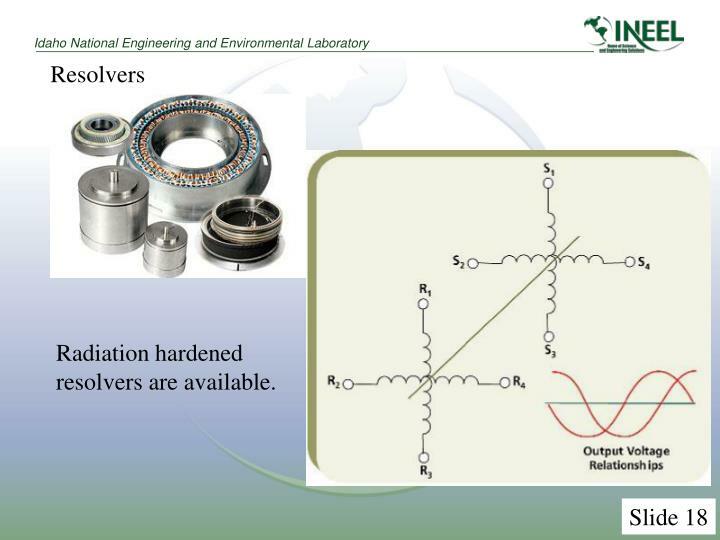 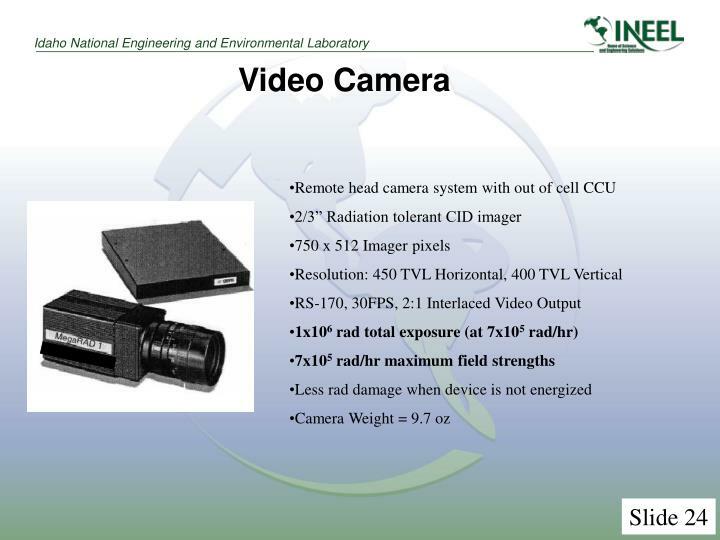 Radiation hardened resolvers are available. 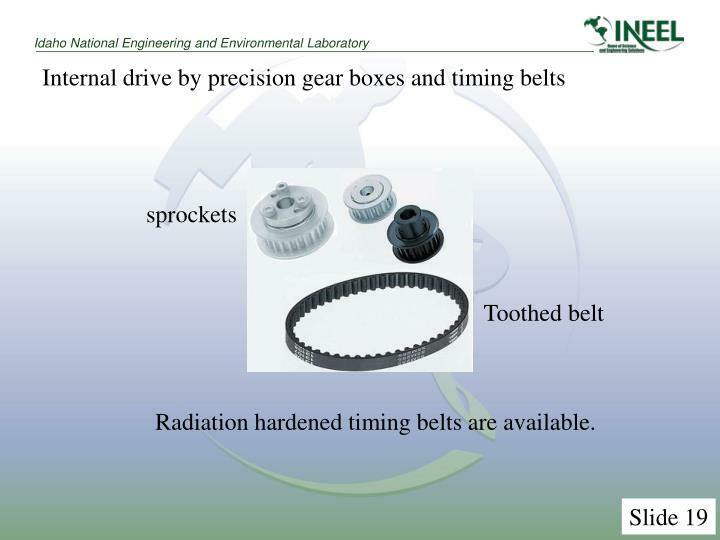 Radiation hardened timing belts are available. 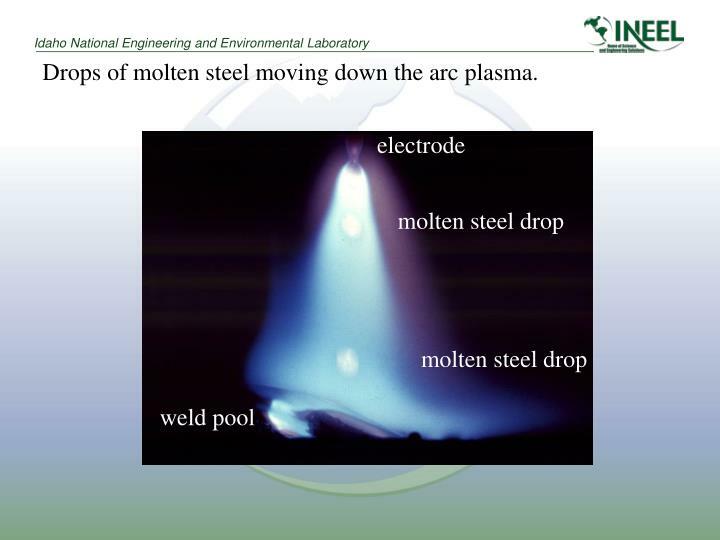 Drops of molten steel moving down the arc plasma.